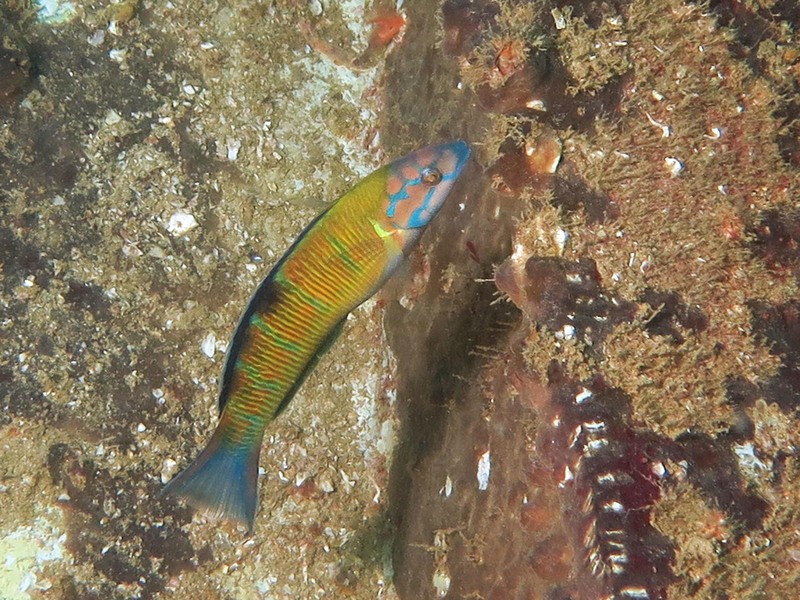 A ornate wrasse Thalassoma pavo (Linnaeus, 1758) observed in Portimão on the “Oliveira e Carmo” corvette on September 22, 2018. Photo by João Encarnação. 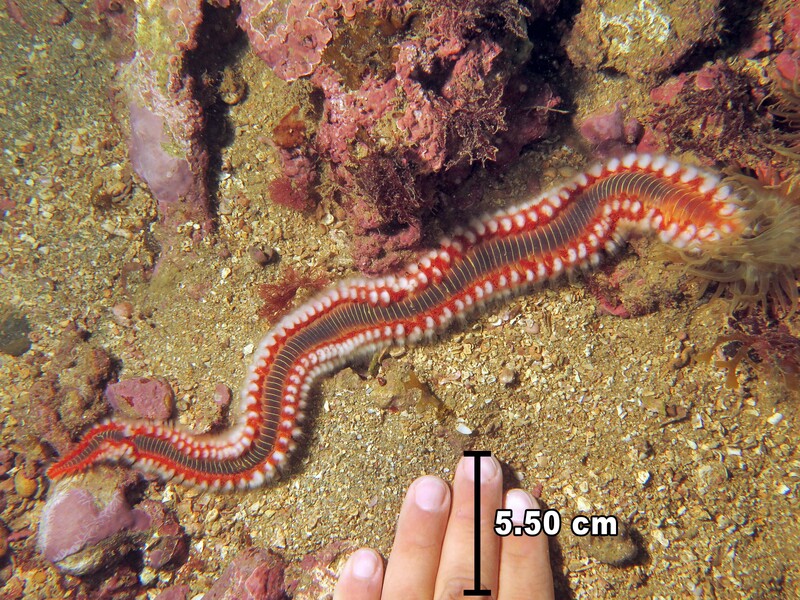 The bearded fireworm Hermodice carunculata (Pallas, 1766) observed on September 7, 2018 in a natural reef close to Portimão, with an approximate total length of 33 cm. Photo by João Encarnação. 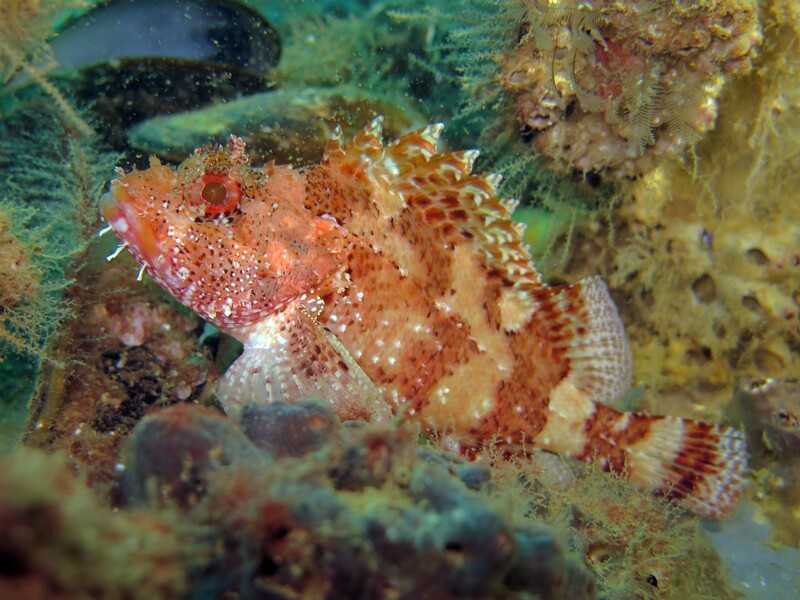 A Madeira rockfish Scorpaena maderensis (Valenciennes, 1833) observed in Portimão on the “Oliveira e Carmo” corvette on October 3, 2016. Photo by João Encarnação. A male oceanic puffer Lagocephalus lagocephalus (Linnaeus, 1758) collected on October 17, 2017, in the lower Guadiana estuary off Castro Marim. Photo by Vânia Baptista. Three fish and one worm species were firstly observed on the Algarve coast. Climate change might explain why these species usually found in warmer waters now call the Algarve their new home. Two of these species, one fish and one worm species, might cause public health problems. The fish Lagocephalus lagocephalus, a balloonfish, is toxic if ingested, while the worm Hermodice carunculata can cause severe pain and skin irritation after being touched. What is the overall context in which this research was developed? The appearance of novel marine species has increased in Algarve over the last years. So far, most species were found in the eastern side of Algarve (Sotavento) in the Guadiana estuary and the Ria Formosa lagoon. The most emblematic species were weakfish (Cynoscion regalis) and the Atlantic blue crab (Callinectes sapidus), both native to North America. In our quest to find more new species in the Algarve, we expanded our search into the western Algarve (Barlavento), which proved to be fruitful. What are the main scientific advances/opportunities that this research brings? 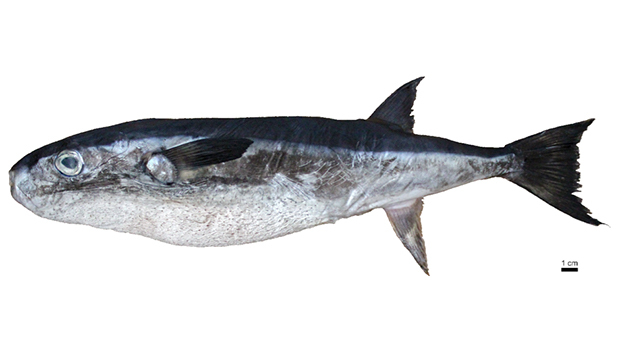 Our most recent scientific paper reports the appearance of three new species in the coast of Portimão (Barlavento) and one in the Guadiana estuary (Sotavento). Three of the four species were never observed off Portugal’s mainland. The warmer water temperatures, induced by climate change, is allowing aquatic species to move northwards and colonize new habitats. Therefore, climate change likely explains why two fish and one worm species now also call the Algarve coast as their new home. What extent does this research contributes to society and/or business? Some new species that we discovered on the Algarve coast are already being explored commercially. So, we want to increase the rate of discoveries by involving the public in this quest. Our ultimate goal is to inform interested partners (e.g., fishers, restaurants, pharmaceutical, cosmetic industries) about the appearance of these new species and how to obtain additional revenue. This research will then work towards an integrated management of both native and new aquatic resources in the region.